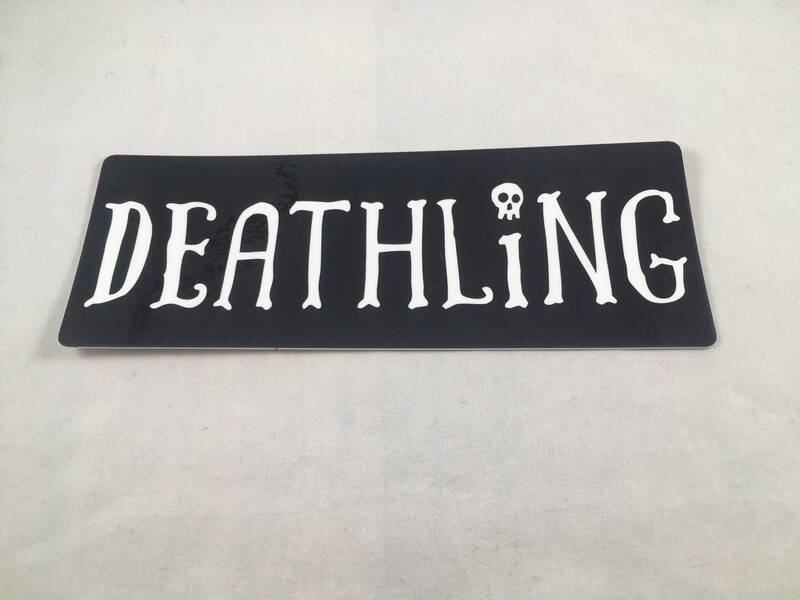 Introducing our first sticker! Woot woot! 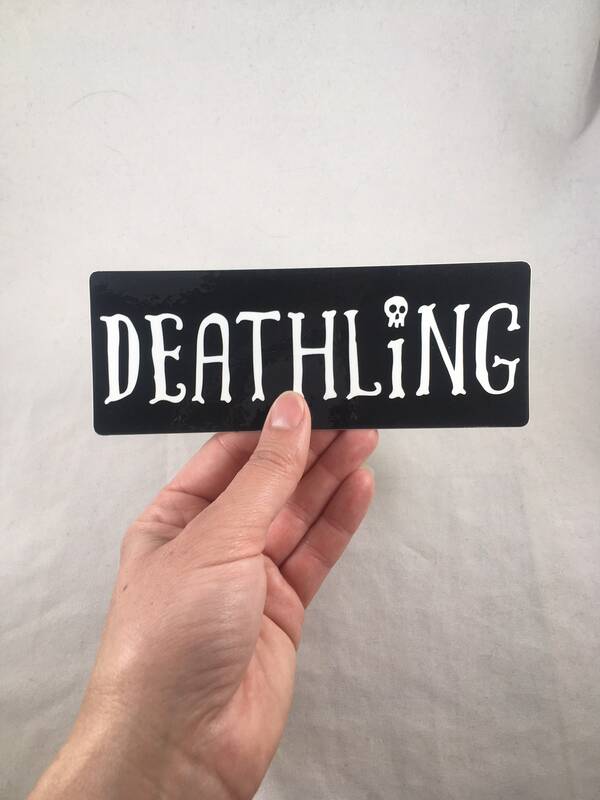 This "Deathling" sticker was illustrated by none other than the brilliant Landis Blair who's artwork can be seen in Caitlin's latest book "From Here to Eternity". The sticker measures 6x2 inches and has a gloss finish. If you are reordering this, just as a note this is a new print that features round corners. 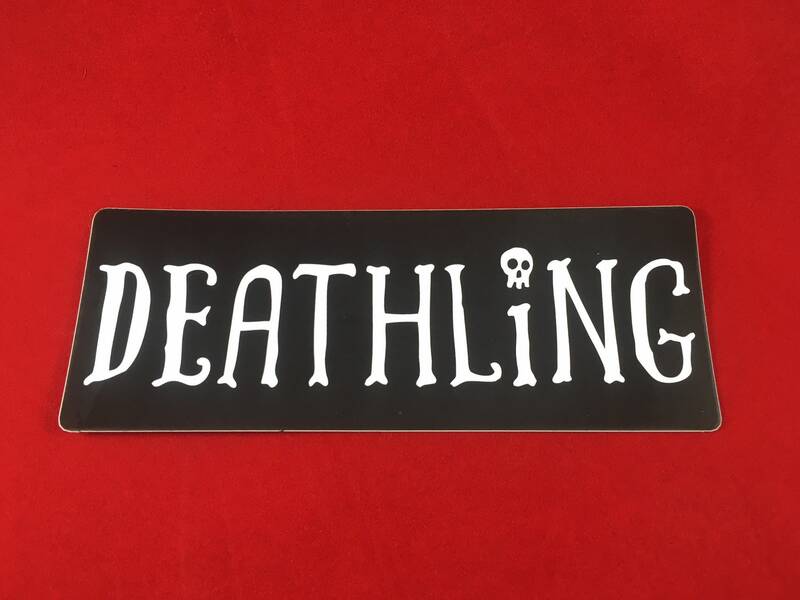 It is slightly different than our old sticker as the person who made the last round no longer does stickers.